Comments: A nice half-folio of the Middle Kingdom tomb of Ammenemes at Beni Hassan. 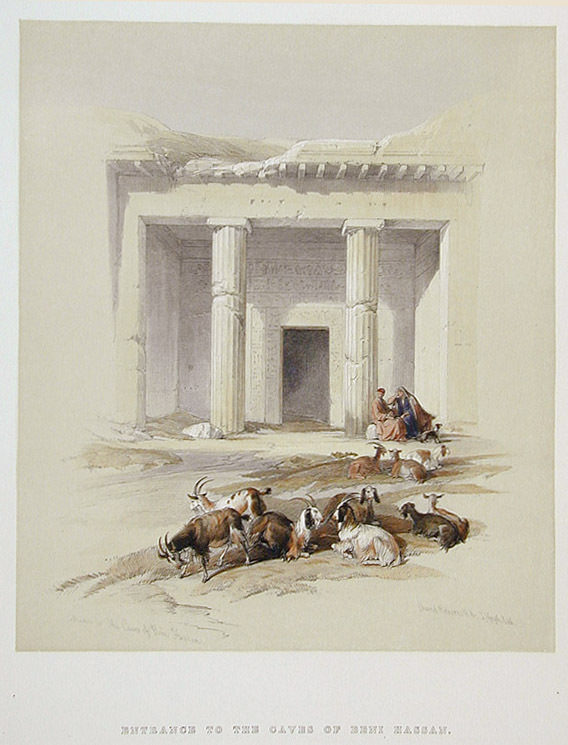 Title: Entrance to the Caves of Beni Hassan. Condition: Excellent. With accompanying text below image and on verso. Image: 9 13/16" x 11 1/2"